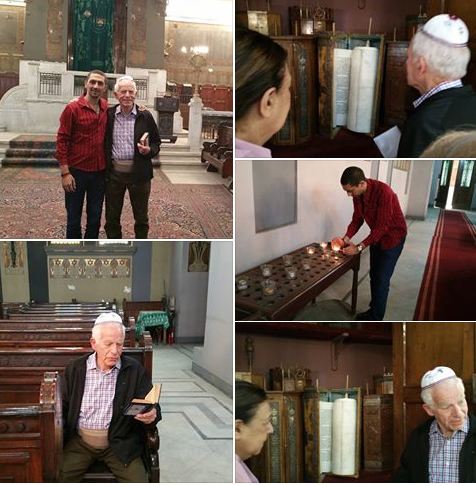 Two Egyptians came together this week in a Cairo synagogue - one a Muslim peace activist, the other a Jew who was visiting his native city from the US after many decades. 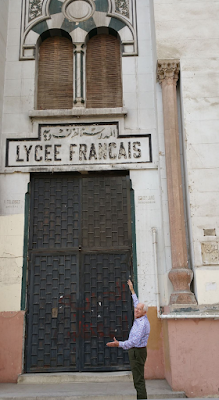 It was not easy for the two to gain access to the Art Deco synagogue, 'Shaar Hashamayim' (Heaven's Gate) in Cairo's Adly Street. Peace activist Ahmed Meligy wrote this Facebook entry on 11 March: " The most emotional moments in Isaac Cohen's life and for me as Ahmed Meligy (were) to not give up on knocking on Heaven's Doors to get the permit to gain access to the Egyptian Synagogue today. Trust me, wasn't easy but our God made it happen so my fellow Egyptian Jew could sit and pray on his bench that he used to sit on when he was a child back in the 1940s. And I prayed and lit the candles for our beloved as a Muslim as usual." " The Egyptian youth is just amazing. 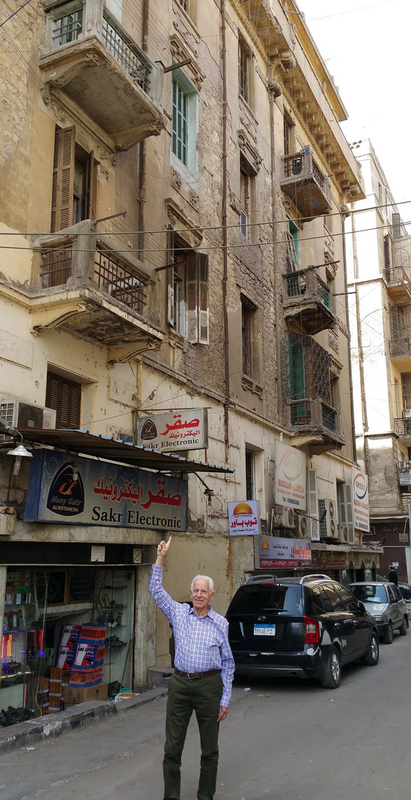 Yesterday in the Khan Khalil bazaar in Cairo I barged into a group of young student girls, all wearing scarves on their head, identified myself as a Jew, probably the first they had ever seen, and you should have seen in their eyes the sorrow while hearing the story of my family and Egyptian Jews being thrown out of here, expropriated from their own country. And also their joy of agreeing to take a picture with me. And, yes, we were all hugging. With their scarves and all.... Ultra orthodox Jewish women would not touch me with a ten-foot pole. They are the future of Egypt." What a mitzvah you have done, Ahmed. May G-d bless you, your family and all of Egypt. Most of us are Israeli via Egypt.... going back a few millenia. .. it's so very wonderful to hear this story especially about the Egyptian girls!